One of my favorite authors is Seth Godin. If you haven’t yet read his book “Tribes” - http://amzn.to/U2pN7 - I recommend you do so soon. I am a subscriber to Seth Godin’s Blog - http://sethgodin.typepad.com/ - and receive daily updates from him. The blog article below – “The power of sync” - struck me as a real-life analogy to what we in network marketing call “momentum”. Few Associates ever experience true momentum, because it is so easy to fall into “management mode”. That is, they’ve sponsored a few Associates and their “team” has grown to 20, 50, 100 or even a few hundred people over time. The “team leader” then sits back and starts telling those people what they should be doing – (management mode) instead of leading by example by continuing to invite, present, recruit and sponsor motivated, committed entrepreneurs themselves. The reality is that this team leader really isn’t leading a team. They are giving orders to a collection of people who are doing (or not doing) things for their own reasons, at their own pace, at a time of their choosing. That is understandable. We are all independent business people who can choose to build or not build our businesses how we want to. This is why some people consider network marketing to be similar to “herding cats”. The manager continues to hope that someone in the group will someday start building their business. What is really happening is that all of these associates are watching what their upline manager(s) is/are doing, and duplicating their actions. In a worst case scenario, this can lead to a collection of people all telling other people what they should be doing, with no one doing what needs to be done to build a business! The solution? – Stop being a manager and start leading by example. 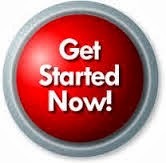 Invite, present, recruit and sponsor motivated, committed entrepreneurs on an ongoing basis. Work with them, train, coach and mentor them to help them achieve their personal and financial goals. Stop telling people what to do, and start doing it yourself. Soon, the motivated, committed entrepreneurs you have sponsored will be duplicating your efforts. It is also likely that a few of the “cats” in your “herd” will start paying attention and begin duplicating your efforts as well. Think for a moment about what would happen to your business if every person on your team sponsored just one new Associate every month, and duplicated that process throughout their own teams. You would experience what Seth Godin calls “the power of sync”, or what everyone in network marketing dreams of – “momentum”. We unconsciously amplify the power of coordination when we consider the impact of actions. If there's a thousand people waiting outside of a store, we instantly believe we're seeing a phenomenon. While the internet makes it easier than ever to spread ideas, it makes it far more compelling to coordinate actions. If everyone in your weekly meeting drops a pencil at precisely 12:03, you'll notice. to lower micronutrient intakes if individuals aren’t careful. differences in intake levels between the start and end of the study. supplement, and only 3 participants followed that recommendation. including an emphasis on adequate vitamin and mineral intake. See Who's Who on the Zdanis USANA Team this Week! USANA Health Sciences, Inc. (NASDAQ: USNA) today announced record financial results for its fiscal second quarter ended July 3, 2010. Net sales in the second quarter of 2010 improved 12.4% to $126.0 million, compared with $112.1 million in the second quarter of the prior year. This increase was due to an overall increase in product sales, driven primarily by a 5% increase in the number of active Associates, which is the result of continued growth in the Asia Pacific region. Additionally, favorable changes in currency exchange rates accounted for $5.2 million of the increase in net sales for the second quarter of 2010. Net earnings in the second quarter of 2010 increased 22.5% to $10.8 million, or $0.69 per share, compared with $8.8 million, or $0.57 per share, in the second quarter of the prior year. This year-over-year increase resulted from higher net sales and improved gross profit margins. These improvements, however, were partially offset by higher Associate incentives expenses and higher selling, general and administrative expenses. For the six months ended July 3, 2010, net sales increased by 17.1% to $245.1 million, compared with $209.4 million for the first six months of the prior year. This growth in sales was due to an overall increase in product sales, driven again by a higher average number of active Associates. Additionally, favorable changes in currency exchange rates accounted for $13.9 million of the increase in net sales for the first six months of 2010. Net earnings for the first six months of 2010 increased by 32.2% to $20.4 million, or $1.31 per diluted share, compared with net earnings of $15.4 million, or $1.00 per diluted share, for the first six months of the prior year. This increase in net earnings during the period resulted from higher net sales, improved gross profit margins, and lower relative selling, general and administrative expenses, which were partially offset by higher Associate incentives expenses. During the second quarter of 2010, net sales in the North America region decreased by 1.0% to $62.1 million, compared with the second quarter of the prior year. Net sales in North America benefited by $2.4 million from changes in currency exchange rates in Canada and Mexico. Active Associates in the North America region decreased by 10.4% compared with the second quarter of the prior year. Importantly, on a sequential quarter basis, active Associates increased by 1.1% and sales increased by 2.6% in this region. Net sales in the Asia Pacific region for the second quarter of 2010 increased by 29.5% to $63.9 million, compared with the second quarter of the prior year. This improvement was mainly due to an overall increase in product sales, driven by 22.3% growth in the number of active Associates. This increase in the number of active Associates was primarily the result of double-digit growth in Hong Kong. "Although our results in North America were down slightly over last year, we are pleased to see consecutive quarter improvements in this region in both sales and active Associates," said Dave Wentz, chief executive officer. "The success of our Asia Pacific region continues to drive our top-line growth. This success was highlighted this quarter by our Asia Pacific convention held in May in Hong Kong, which was our largest ever Associate-attended event. At this event, we introduced several new region-specific products that contributed to record convention sales of $2.8 million. Highlighting this convention was the announcement of our intention to open business in China. We believe that now is the right time for USANA to make the necessary investments for entry into this large and growing market." Jeff Yates, chief financial officer, said, "I am pleased with our strong second quarter operating results which were better than we expected, particularly the 160 basis-point improvement we made to our operating margin. While the Asia Pacific convention in May added about $1.6 million in SG&A spending, this was more than offset by the significant improvement to our gross margin. In light of our strong second quarter operating results, we are raising our financial guidance for 2010. We now project consolidated net sales to be between $488 million and $495 million and earnings per share to be between $2.73 and $2.80." USANA will hold a conference call and webcast to discuss this announcement with investors on Wednesday, July 28, 2010 at 11:00AM Eastern Time. 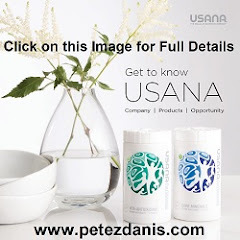 Investors may listen to the call by accessing USANA's website at http://www.usanahealthsciences.com. USANA develops and manufactures high quality nutritional, personal care, and weight management products that are sold directly to Associates and Preferred Customers throughout the United States, Canada, Australia, New Zealand, Hong Kong, Japan, Taiwan, South Korea, Singapore, Mexico, Malaysia, the Philippines, the Netherlands, and the United Kingdom. 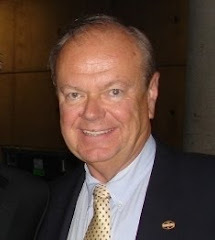 More information on USANA can be found at http://www.usanahealthsciences.com. (1) Associates are independent distributors of our products who also purchase our products for their personal use. We only count as active those Associates who have purchased product from USANA at any time during the most recent three-month period, either for personal use or for resale. (2) Preferred Customers purchase our products strictly for their personal use and are not permitted to resell or to distribute the products. We only count as active those Preferred Customers who have purchased product from USANA at any time during the most recent three-month period. Who's Who on the Zdanis USANA Team This Week!